In this tutorial we will learn how to connect postgresql with metasploit framework . 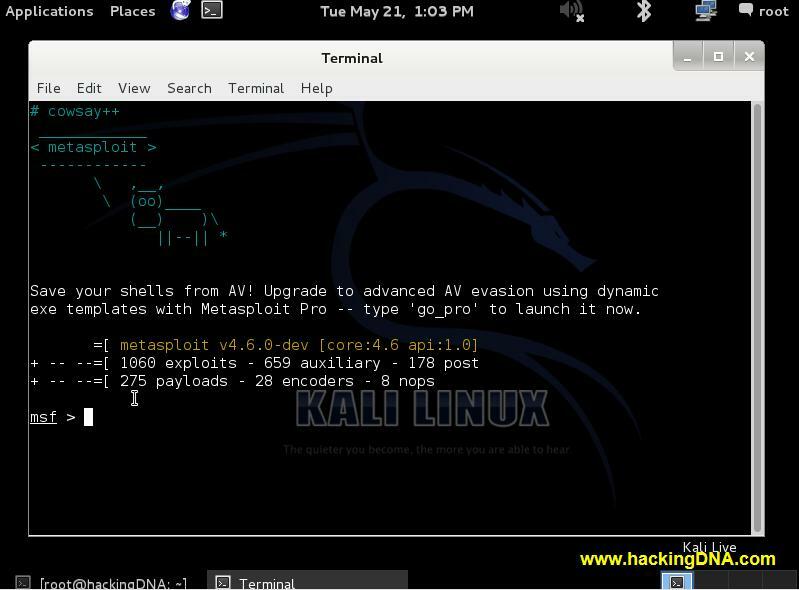 We cover all the backend database commands of metasploit framework. 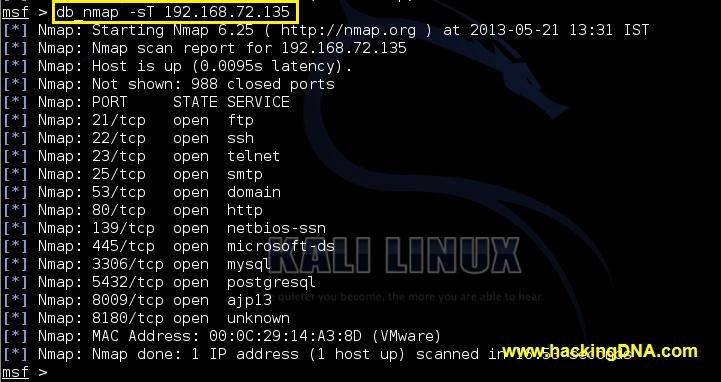 We also use nmap to scan the targets and then we will analyse how useful is PostgreSQL on Kali Linux . 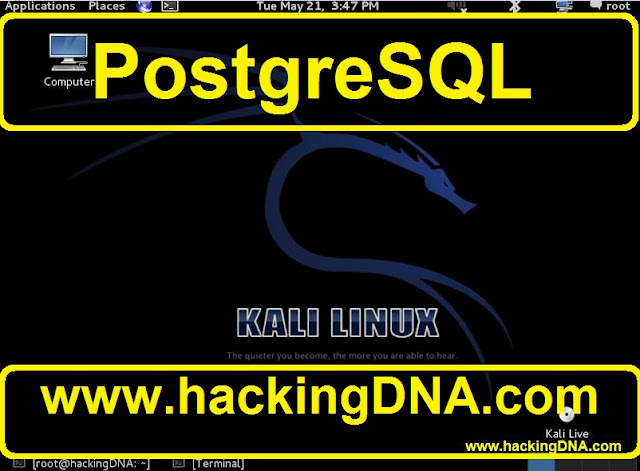 HOW TO START POSTGRESQL SERVICE & METASPLOIT SERVICES. Command Used : services postgresql start && services metasploit start . Description : In this command we start both the services together . First service we start is postgresql . And second service we start is metsploit . Note : You can also start these services one-by-one also . 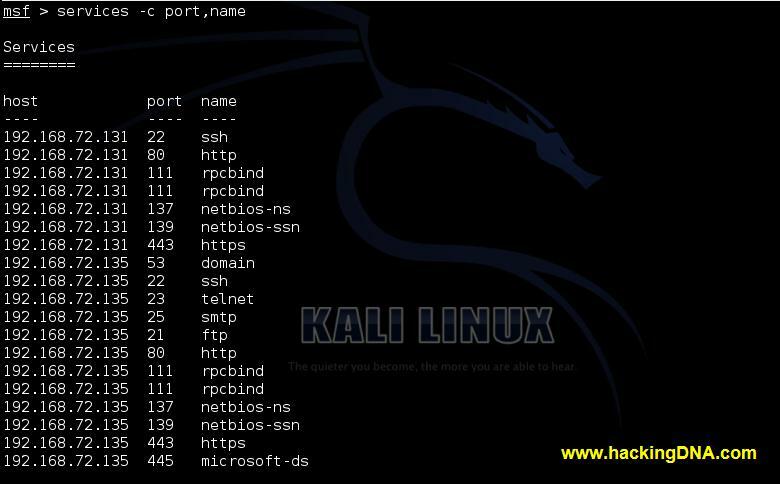 Description : After using help command it will display all the commands that are used in metasploit framework but we are only cover Database Backend Commands .The above image shows all the commands . Now once we start the postgresql and metasploit services , lets see is our database is connected to msf or not . Description : It shows that our database( postgresql ) is connected to msf3( metasploit framework3 ). Description :We scan two targets ( Metasploitable , windows xp )And when you use the hosts command , it will display the list of hosts you scan. If you want something more about hosts command then use the following command . 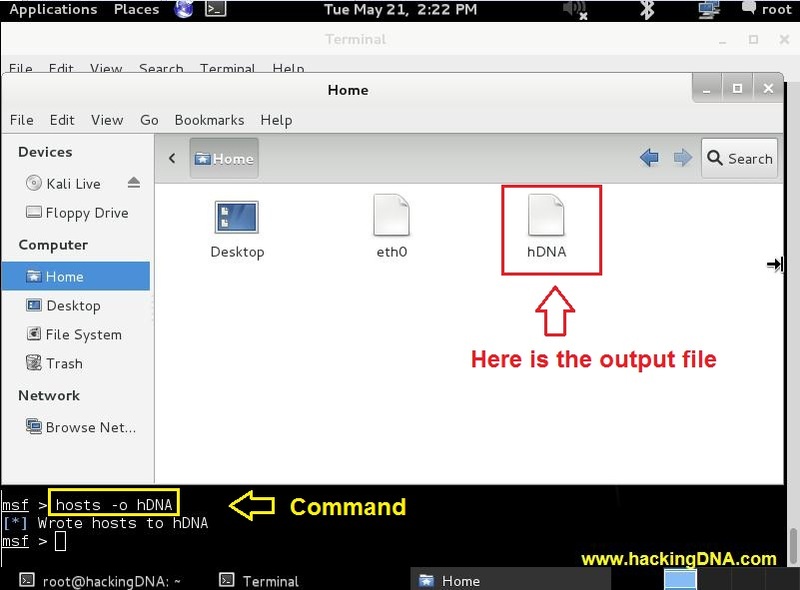 Command Used : hosts -h.
This command only shows those host which are running on the network . 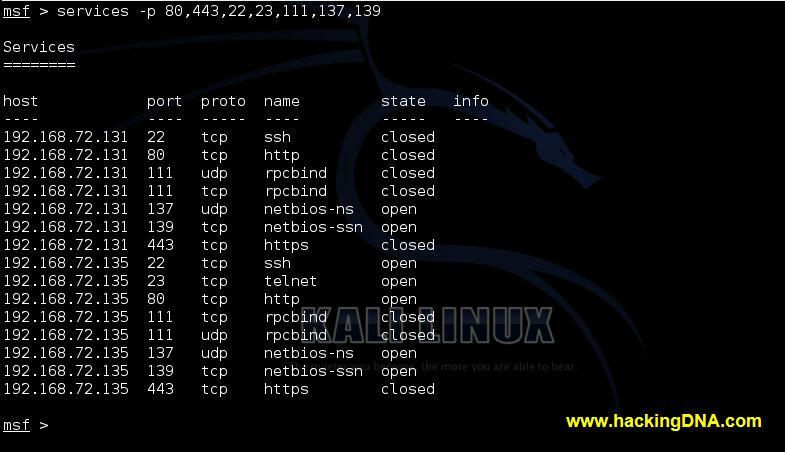 This command helps you when there is a long list and you have to filter single ip . Examples1 : It will display all the running services . To disconnect database , use the db_disconnect command . And to check the database status , use the db_status command . This is how we can connect the postgresql to metasploit framework3 . And perform different database backend commands. I hope you like it . Don't forget to join us on facebook . Please leave your comments , you like this tutorial or not . 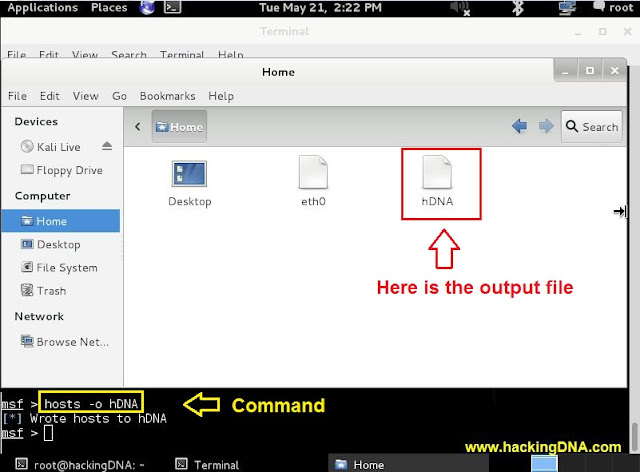 Its very valuable for us to know what you think about this tutorial and hackingDNA website .